Welkom op de lijst :) . meaningful way here. I will show you why immediately. webpage with some info. But no HTML of any kind in e-mail, please. "th" is "this" or in "thick"? Or, if I want to be evil, "th" in "Thames"
something like /aw/, but how can I know it's not /aU/ or even /au/? Which one? I can roll two different ones with little in common with each other. /aj/ or /E/ (all four pronunciations current in various Dutch dialects. know, I speak both languages. The English spelling is "schwa" :) . point that out :) . >Other letters are like English. 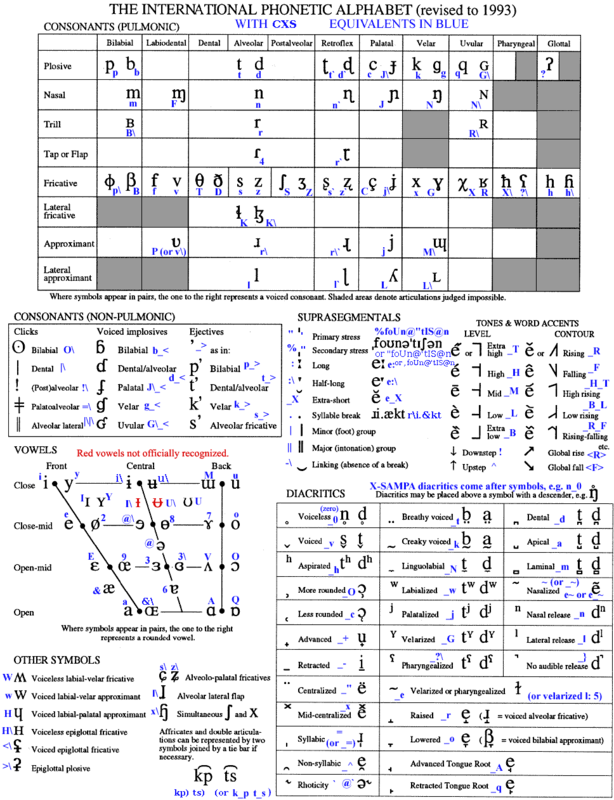 name of your conlang. What does it represent? That's the chart we use. That's what you call the nominative case. >The noun followed by a preposition ends with UM. Languages that have that call it the prepositional case :) . I fear to ask why this choice of vocabulary ;) . >*) exept when the direct object is equal to the subject. >Adverbs usually end with I. All adverbs or only adverbs derived from adjectives? >One word is always written as one word, unlike English does. more neutral (i.e. usually just schwa or similar). Any reason for this choice? >doesn't end with its own -o/-u/-um. And when does this happen? us appreciate better Némalo :) . presentation to your conlang and give it better justice here :) .